“Greater in battle than the man who would conquer a thousand-thousand men, is he who would conquer just one — himself." “There's no such thing as a limited victory. Every victory leaves another resentment, another defeated and humiliated people. 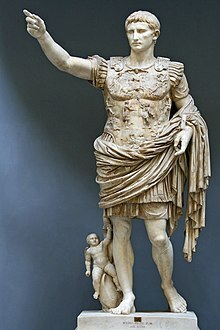 As we leave August behind, we leave a month named in honor of the Roman Emperor Augustus because it was the time of year in which he conquered Egypt, et al. The right of conquest is the right of a conqueror to territory taken by force of arms. It was traditionally a principle of international law that has gradually given way in modern times until its proscription after World War II when the crime of war of aggression was first codified in the Nuremberg Principles and then finally, in 1974, as a United Nations resolution 3314. Your Challenge: Write a new narrative poem on a glorious, inglorious, or mixed conquest. to fry your eggs in the microwave. how to make a democracy? Must e’en with pride unto thy life-work turn. In chains ’neath alien skies. On him, shame! shame! And noble patriot! guard with love thy name. You and Alice tell some good ones, Jae! I agree with MM Teacher. And I don't know the answer to your smiling question. But if there are criteria today, you have met them. I attempted a ghazal, and am posting it, however mal-formed. I am enjoying today's poems. I feel the hearts beating in each. Write on! Thanks for the prompt, Susan. Perhaps mine is a little obvious this week. A prompt that offers great scope, but I kept it light this week.......thanks, Susan. Looking forward to some good reads today. Your lightness is still a deep clue to living. You are very welcome, Sanaa. Sending love to you, too. Thank you, Panchali. I love it when prompts lead us to surprises. This is amazing fiction. Hello everyone, it's month end, and my health is getting worse, as this poem will narrate. There are times, just wish I would die, in my sleep and end this constant deterioration of my health. I pray for your recovery, dear Theresa. The power of your writing does not abate even on most difficult this last day of the month. Yikes! I put my link in the wrong place. Sorry about that!